Excellent performance form a Polish Team! Kyokushin and Kanreikai. Many organizations were represented as well as 14 countries. Kyokushin Union, Japan) and Shihan Andre Gilbert 7th dan (Kyokushin IKO1, Canada). Head Referee duties were given to Shihan Real Gagnon 6th dan (Kyokushin, Canada). During the morning hours of the Championship day two tournament were conducted Light contact for children and youth tournament in Semi-knockdown. Tournaments were conducted simultaneously on seven tatami. There was also a tournament for juniors and seniors in kata. 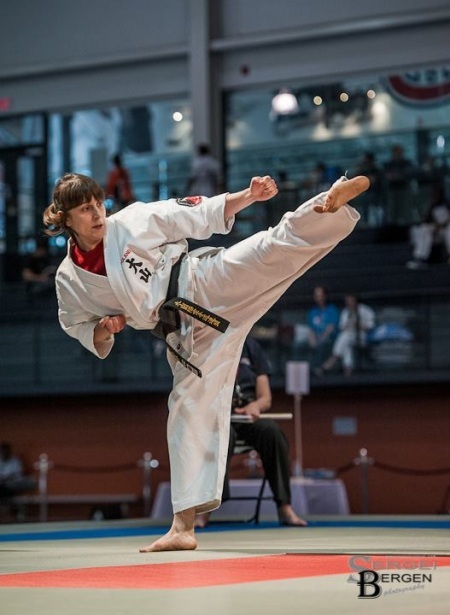 Poland was represented in an advanced category by Anna Majczak who defended her World Championship from 2010. Our sincere congratulations, OSU! The knockdown finals were preceded by an opening ceremony and a show of Japanese drum artists. After the performance Shihan Shigeru Tabata 7 th dan the director and chairman of the Tournament Institute of All Japan Kyokushin Union spoke in high regard about the idea of common knockdown championships for many organizations. He underlined the common Kyokushin roots and historical significance of Sosai Masutatsu Oyama. Vice Championships in light and middle category. They lost to the host competitors. 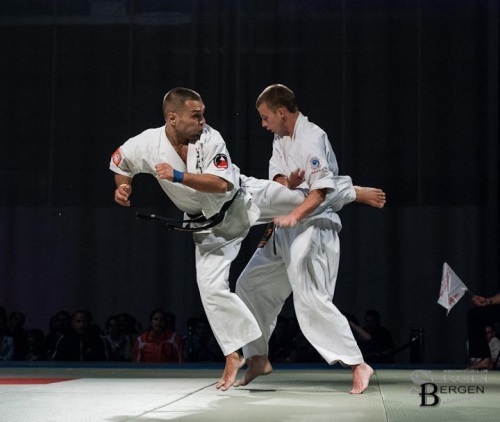 Kanreikai, Kenshikai, Kyokushin IBK and Kyokushin IFK. Thanks to the kindness and hospitality of the hosts with Sensei Denis Cordeiro, the Polish Team saw the capitol of the country –Ottawa. Thank you for your help and hospitality, OSU! Anna and Marcin Majczak was the City Hall of Lublin and Euro-Project LLC with Chairman Roman Rogalski. Thank you for your support, OSU! We congratulate our representatives, OSU!